You’ve read about it. 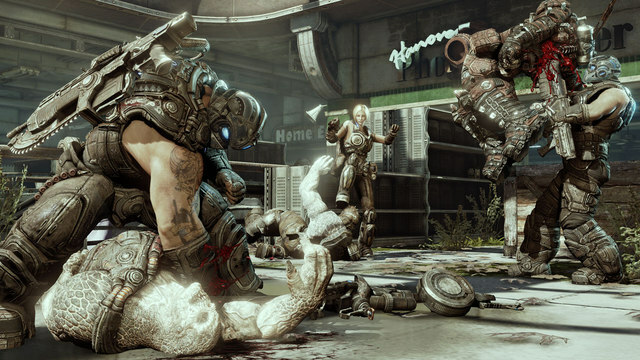 Now on March 11–13 go hands-on with the Gears of War 3 Multiplayer Beta on 20 stations at PAX East. Players will get bragging rights and an Xbox LIVE Cole Train plushie avatar accessory not available on Xbox LIVE Marketplace. On Saturday, March 12 (2:00–3:00 p.m.), meet the Gears of War design director during this exclusive signing engagement and get a free Gears of War 3 poster. Also on Saturday, March 12 (starting at 5:00 p.m.), experience the live recording of a podcast with Xbox LIVE's own Major Nelson; special guest appearance by Cliff Bleszinski.